Heat or Cold For an Injury? It's important to know when to use either hot or cold hydrotherapy for an injury. Sometimes when a person has back pain, they apply a heat pack to the area, only to find themselves hours later in a great deal more pain. Do NOT put a heat pack on an acute injury. Here is a basic definition of the stages of injury healing - and what kinds of hydrotherapy you can use during each stage. Symptoms of an acute injury: sudden severe pain, swelling, heat, bruising, inability to put weight on a lower limb, decreased mobility, weakness, visible dislocation or break of a bone. ice cubes in a plastic or ziplock bag, a cold gel pack or a bag of frozen peas or corn. Wrap in a cold, wet towel or dry cloth (a pillowcase does nicely). Do not apply directly on the skin. a cold towel compress - a hand towel or cloth soaked in cold water, wrung out and applied to the injured area, covered with an insulating towel. Apply any of these modalities for 15-20 minutes. Remove and wait until the injured area returns to normal temperature. Repeat cold hydrotherapy. If the injury occurs in an area with little fat or muscle beneath the skin, like fingers or toes, take the cold off after 10 minutes maximum. Alternating heat and cold hydrotherapy. The ratio used is 3:1 (3 minutes of heat: 1 minute of cold - or 30 seconds, depending on your tolerance level.). Always end with the cold application. Examples of contrast hydrotherapy are contrast foot bathing and contrast hand bathing. Follow this link to Hydrotherapy. Apply any one of these modalities for up to 10 minutes. Do not lie on top of any of these heat sources. It's possible to have an acute flare-up of a chronic (old) injury. For example: Say you had a car accident five years ago and had whiplash and pain down the left side of your neck. Five years later, the pain is minimal, but yesterday you turned quickly to back your car up and now you have that familiar pain in the left side of your neck. This is an acute flare-up of an old injury and you should treat it as you would an acute injury - apply cold hydrotherapy. NOTE: Use this information as a basic guideline, but remember the most accurate way to define your stage of healing is by the symptoms you see and feel. If your ankle injury still feels warm after three days and your mobility hasn't improved, continue using cold hydrotherapy. People who have sensory changes, poor circulation or any sort or cardiovascular (heart or blood circulation) condition should check with their doctor before using any kind of hydrotherapy. Hydrotherapy is traditionally defined as the use of water to revitalize, maintain, and restore health. Hydrotherapy treatments include saunas, medicinal baths, foot baths, sitz baths, and the application of cold and hot water compresses. The therapeutic use of water is an ancient, global practice. Romans had 'thermae' communal public baths, Japanese 'osen' thermal hot springs and bathing facilities are still popular today. Modern day sauna therapy stems from healing techniques that have been practiced throughout history: Mayan sweat houses, Mexican temescal, Islamic hammam (Turkish bath), Russian bania, Japanese mushi-buro, Native American sweat lodge, Finnish sauna. Throughout time, people have used hydrotherapy to relax, relieve stress, heal and maintain health, develop spiritually and interact socially. An excellent way to strengthen your immune system and to improve your circulation is to treat your feet or hands with a contrast bath. 1. Fill two containers with water, mid-shin deep for feet, mid-upper arm for arms (elbows bent to 90 degrees). One should be hot bath temperature and the other, very cold - you can build up your tolerance to include some ice in the water. 2. Place both legs or arms into the hot bath for 3 minutes. 3. Place both legs or arms into the cold bath until 'aching' is felt, from 10 seconds to 1 minute maximum. 4. Alternate this cycle three times, always end with the cold. 6. 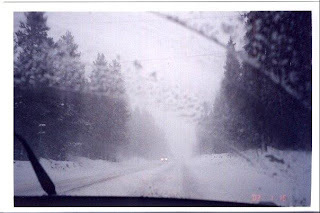 If you are treating legs, put warm socks on. 7. Rest for 20 minutes. Arthritis, repetitive strain injuries, chronic ankle sprains or strains, chronic sinusitis, head conjestion, pulmonary, pelvic and menstrual congestion, weak immune system, poor overall circulation, chronic cold feet, 'tired legs', sluggish metabolism, low blood pressure, conjestive headaches (apply in conjunction with cold compresses at the back of the neck). Check with your doctor before you do this therapy if you have any cardiovascular health issues. Sauna therapy involves sitting inside an enclosure with a heating element that raises your body's temperature to promote sweating and increase blood circulation. The therapy involves repeated sessions of heating and cooling the body to promote detoxification and healing. Saunas have either a wood, gas or electric heater that warms the air and then your body. For therapeutic saunas, it is recommended that the temperature inside the sauna reach 80 to 90 degrees Celsius. Traditional saunas feature rocks on top of the heater on which you can throw water to temporarily increase the humidity and temperature of the sauna room - however most saunas in health clubs have electric saunas which you may not pour water on. 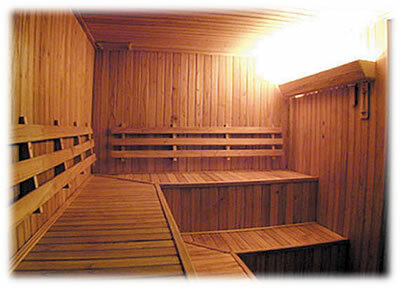 Sauna therapy has numerous detoxing and cleansing benefits. While you sit inside the hot room, your body attempts to reduce its temperature by driving blood to the surface of the skin and by perspiring. This therapeutic sweating releases toxins through the skin. The heat kills bacteria and viruses and relieves internal congestion. Sauna enthusiasts say that the warmth and the increased blood circulation relaxes muscles, relieves tension and pain in joints and calms the nervous system. Health experts and physicians caution people with heart disease and pregnant women from using sauna therapy. The Finnish Sauna Society recommends that people with fever or inflammatory disorders as well as people with communicable diseases avoid the sauna. They also say people should not drink alcoholic beverages inside the sauna and people under the influence of alcohol should not go to the sauna. Begin by taking a shower. Enter the sauna room wrapped in a towel. Some people choose to remain wrapped in a towel or wear a bathing suit and some people choose to be naked. The sauna temperature should be preheated to 80 to 90 degrees Celsius (100 at the most). Remain in the sauna for a 20-minute session. You may choose to scrub your body while inside the sauna with a loofah brush or washcloth to stimulate the skin and increase perspiration. Follow by an equal amount of time outside the sauna cooling down. This may involve just sitting and letting your body return to your normal temperature, or it may involve taking a cool or cold shower. Sometimes sauna bathers like to jump in a cold lake or a snowbank! Warming and cooling sessions can be repeated several times. Drink water during your sauna session to remain hydrated. Finish by rinsing yourself off. Rest a while and drink more water. After the sweating has stopped, get dressed. Recently I completed the first level of Craniosacral Therapy training and I am now able to offer this work, either integrated into a massage treatment, or as a treatment unto itself. If you want an entire session of craniosacral therapy, you would simply wear comfortable clothing and be on the table, rather than being treated using sheets and draping. 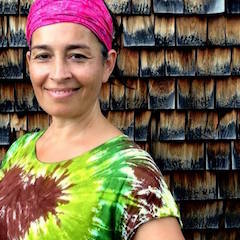 Since 2008 I have been mentored by Craig Mollins in a type of body work called Fascial Rebalancing, a synthesis of the teachings of Dr. Ida P. Rolf and Buddhist mindfulness-awareness practice. "a ten-session protocol that balances the human structure with gravity, and mindfulness-awareness practice that synchronizes body and mind in greater harmony." Over the years, I have used various Fascial Rebalancing techniques with many of my clients, integrated into the massage treatment along with the various other kinds of massage techniques I use (Swedish massage, trigger point release, Thai yoga massage, myofascial release, etc.) Have I gotten you to lay on your side and applied deep pressure around your hip and down the side of your leg? Worked up along the side of your ribcage and into your extended arm? Treated along your shin with my elbows? Worked down your spine with both my elbows as you bend forward from a seated position? Those are Fascial Rebalancing techniques. So while I have used aspects of it, Fascial Rebalancing is actually meant to occur in a series of 10 sessions, each session designed with a specific set of intentions, techniques and areas of the body to be addressed. I have been trained in the first 7 Fascial Rebalancing sessions and I would like to offer them to you. Fascial Rebalancing is done with one sheet covering the massage table. You lay on the table wearing whatever you feel most comfortable in that allows treatment of your body. Ideally for women - a bikini, bra and underwear or shorts and sports bra. For men, shorts or bathing suit. I use my hands, knuckles and elbows in the application of pressure on your body. No massage lotion or oil is used. The appointments can be booked as 60, 75 or 90 minute sessions. Personally, I love Fascial Rebalancing. I have noticed profound changes in my body after the treatments I've received. I feel stronger, my joints feel looser and more mobile, I feel taller and I can breathe more easily. If you are interested in booking the seven sessions of Fascial Rebalancing or you have questions, feel free to call me or ask at your next appointment. "Fascial Rebalancing is a method of soft tissue manipulation that restores your balanced relationship with gravity. The practitioner uses their hands and elbows to work your muscles and connective tissues, using a slow, direct, and sensitive pressure. The work is designed to unwind whole body tension patterns, while at the same time gradually uncovering your body’s natural length, resilience, and graceful ease. Fascial Rebalancing was developed by Structural Integration practitioner and mindfulness teacher Craig Mollins. The method brings together two main streams of teaching: a ten-session protocol that balances the human structure with gravity, and mindfulness-awareness practice that synchronizes body and mind in greater harmony. 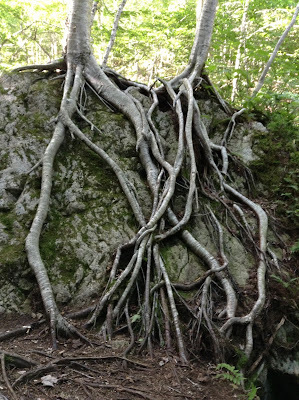 Fascial Rebalancing incorporates these two streams to create a system of connective tissue manipulation that brings together body, mind, and the field of gravity." Occasionally I get a phone call or an email of someone wanting to know if I provide 'other' kinds of massage. I don't judge people who provide that service for money or the people who go to them. But NO, I do not. I do get a bit tired of addressing this issue. Probably how a pharmacist would feel if people kept asking if they sold weed. But I'll assume some people might genuinely not know the difference, so I will explain. When you see RMT after a massage therapist's name, it signifies that they are a Registered Massage Therapist. It means we are health care providers. Compare it to a Physiotherapist or an Occupational Therapist if you must, in order to understand. It means we have successfully completed a rigorous, two year, full time college program consisting of studies in anatomy, pathology, orthopaedic testing, therapeutic massage, hydrotherapy and clinical practice. We learned how to use massage therapy as a means to treat symptoms resulting from cerebral palsy, whiplash, muscle spasm and plantar fasciitis and many more conditions. It means we learned how to do a relaxation massage to decrease the effects of stress from working all day at a desk or walking around a hospital all day. It means once we graduated from our program, we became members of a professional association. In my case, this is MTANS, the Massage Therapists Association of Nova Scotia, " a self governing body of massage therapists dedicated to protecting the public, serving its members, and promoting the highest possible quality of the practice of massage therapy." No, I do not provide the 'other' type of massage. But equally important: If a massage therapist does not have RMT after their name, do not assume they provide 'other' massage services. I know many skilled Massage Therapists who offer massage therapy but who do not qualify to join a professional association and earn the designation RMT, usually because they were trained in another country and cannot attend massage school in Canada or join an association, due to language barriers. 1. If a Massage Therapist has RMT after their name, they are a health care provider and they will NEVER provide 'other' massage services. 2. If a Massage Therapist does NOT have RMT after their name, it does NOT follow that they will offer 'other' massage. Do not assume anything. DO NOT make an appointment with any Massage Therapist of any kind and ask for 'other' massage in person or worse, in the middle of a treatment. If you absolutely cannot tell from their advertising, it's a simple question you can ask by phone or email ahead of time. If you ask in person and they are a professional Massage Therapist, you will make them feel startled, uncomfortable, confused, threatened and probably angry. If you ask for that type of service in person or during a treatment, your RMT or Massage Therapist might phone the police and report you. So figure it out ahead of time and make a well informed decision. To talk or not to talk. That is the question. At least that's the question people sometimes wonder about getting a massage. Whether or not you feel like talking while you get a massage is a completely subjective choice. It's your treatment; it's your time. Here are some pros and cons of each. Sometimes your mind won't let you rest, right? It bounces around like a peppy monkey and even when you stop talking, it keeps poking at you. Sometimes talking can help you relax. Talking during a massage treatment can give you single line of thought to follow, like pulling string out from a big, tangled knot and watching it become a simple, single line. If you're dealing with stressful situations or issues in your life, talking can help you let go of what's bothering you. My boss is driving me crazy - My kids are driving me crazy - My friends came for a visit and won't leave - I hate my job - I hate this weather. You might want to get your troubles off your chest and then settle into silence, or you might want to keep untangling the thoughts through your whole treatment. Everything you say in a massage treatment is confidential - and sometimes having that private space can be a helpful opportunity for you to talk about your problems and concerns without worrying that you're hurting someone's feelings or talking too much about yourself to your friend or family member. My scope of practice involves the body and physical realm - I am not a counsellor or a psychologist. But I'm a good listener and can give some basic feedback based on my personal life experience. Some people think memory can be stored in muscle and soft tissue. Massage can trigger surprising thoughts and images and sometimes people want to talk about it. We all have what some Buddhists call "monkey minds"; minds that chatter away to us no matter what's going on in our day, perhaps at no greater time than when we are silent. It can be a strange and uncomfortable thing to be in silence and to check out what's going on in your mind. We live in an age of constant influx of information and most of us are not used to being quiet. One good reason to be silent during a massage is that you can get familiar and maybe even comfortable with whatever is going on in the silence. When I do a massage treatment for you, I'm having a conversation with your body. And it doesn't have very much to do with you. By that I mean - the conversation I'm having with your body has nothing to do with your mind - the words you are speaking or the thoughts and feelings you are having. When I put my hands on you, I'm gathering information and receiving messages about the state of your muscles, joints, ligaments - and your breathing. I'm tuning in to what your body has to communicate. If you and I are talking while that's happening, it's as though I'm trying to have a conversation with two people at the same time. And as I'm sure you have experienced, when you talk to two people at once, your attention can be diluted. Massage is a great opportunity to check in with your body. Our culture is very mind oriented, encouraging people to identify with their thinking and feeling and speaking. But what about your body? What does it feel like to really be present in your body? During a massage if you draw your attention to the specific areas you're having treated, the overall feeling it brings about in your body, how it changes your breathing - all the sensory experiences you are having in your body, you can gain a greater sense of awareness about your body and open the door to a much deeper sense of relaxation. If you want to try not talking during a massage but you know you're the kind of person who talks out of habit, when you arrive and you're getting ready for the treatment you could say "I think I won't talk during the treatment today," and then we both know what your plan is. So the choice is up to you. I will let you lead - if you want to talk I will listen. If you want to talk with me, I will talk with you. And if you want to be silent, I will be too. Everyone chooses for themselves and sometimes people make different choices on different days. Remember that when you decide to get a massage you are paying a significant amount of money for someone to take care of you. This is your way of taking care of yourself and it should be all about you. Honour that decision and make sure the treatment is exactly as you want it to be - the volume of the music, the temperature of the room, the pressure on your body, the techniques used. And only talk if you feel like talking. It's all about you. A client I hadn't seen for quite a while came in for a treatment. We chatted for a bit and just as I was leaving the room so she could get on the table she blurted out "Aren't you going to say anything? Didn't you notice? I've lost twenty pounds!" You would think that of all the people in your life, your massage therapist - the person who sees your body in much more detail than most people in your life do - would be the first person to say something if you lost weight. But I've made it a steadfast rule that I never comment on my client's bodies, unless I see something I'm concerned about, like a rash, an abnormal looking mole or a bruise. There are many reasons why a person loses or gains weight; many reasons why a person's body changes during their lifetime. They might be sick or they might be depressed. They might be struggling with an eating disorder. Also, if I say "You look so fit and healthy!" to a client one day, maybe when they come in the next time, if I don't say the same thing, they might wonder if they don't look fit and healthy that day. I also never comment about body piercings or tattoos. Tattoos are frequently done to commemorate a significant life event - a death or a loss - that might be painful to draw attention to. I know someone who had a tattoo of her husband's name. Her divorce was painful and stressful (as most are), so on her birthday that year she decided to treat herself to a massage. It turns out the massage therapist was an acquaintance. As the treatment was starting, the therapist said "Oh, that must be your husband's name! How romantic. Wait, that is your husband's name, isn't it? Uh... is he still your husband?" Needless to say, her massage was not as relaxing as it could have been. I want my clients to know they are in a safe space when they come to me for treatments. I want them to know that I am not judging their bodies, whether that judgement be positive or negative. I take care of my clients and I love them and I love their bodies, just as they are. As we make our way through the more challenging months of the Maritime year, I want to make note of some winter massage therapy issues. If you come down with cold or flu-like symptoms in the day before your massage appointment and you believe you may be contagious, please call and reschedule your appointment. I will waive the 24 hour cancellation policy that asks you to be responsible for the appointment fee. If you come to your appointment and you are contagious, you could be passing your sickness on to me and my other clients. Additionally, if you have an infection and you have a massage therapy treatment, it could be spreading the infection within your body. Stay home, rest and drink fluids! If you drive to your appointments and in the hours before your appointment the roads are suddenly icy or it's suddenly stormy and you don't feel safe driving, please call and reschedule. I would much rather you stay home and be safe than try to brave a dangerous situation just because you have an appointment. Again, I will not hold you responsible for the fee. In general, if you need to reschedule an appointment, please give me as much notice as possible. Frequently I have a wait list of people who would be happy to take an appointment time you have to reschedule - I have a number of clients who live in the neighborhood and could walk to my treatment space, even in a storm. So the sooner you can let me know, the better. It's difficult for me to fill an appointment time if you call only an hour before. 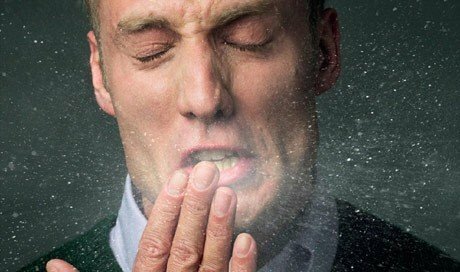 Flu - When am I Contagious? Once again, we’re in the thick of flu season, and 2013 seems particularly intense. Many of you and your families have had the flu, are in the throes of it, or are feeling the first signs of illness. Some people are uncertain about when they are contagious and when they aren’t – and therefore they are uncertain about whether or not they should come in for a massage appointment. "Most healthy adults may be able to infect others beginning 1 day before symptoms develop and up to 5 to 7 days after becoming sick." Therefore, it's important to identify flu symptoms immediately. I know it's tempting to tell yourself that you aren't sick or about to get sick so you can come in for your massage, especially when your symptoms involves aching muscles. How nice would it be to get a massage when your body feels sore all over? But I must ask you to be mindful about spreading your sickness to me and to my other clients. When I treat you, we are in very close physical proximity; if I am treating your neck and head, I am inches away from your face. After you leave my office there will be a number of other people coming in to the space you just left. If you are sick and you come in for a treatment, you are putting me and them at risk. In order to help you understand when you are and aren't contagious, I have put together a Q & A about the flu, based on information from the Centres for Disease Control. Please also read my post about sickness and my massage policies Be Healthy! Be Safe! When someone says "How are you? ", how often do you reply "I am SO tired", or "I'm SO busy" or "I'm totally stressed out"? Here are my favorite ways for diffusing stress. They're simple ideas. You don't have to buy anything. You don't have to exert much effort. You don't even have to leave your house (okay, for one of them you do). Turn off. Choose a time in the evening when you're going to turn off all electronic devices. Yes, everything with an illuminated screen. This means your cell phone, iPad, laptop and television. 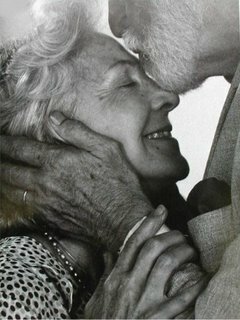 If you have a partner you live with, maybe you can inspire them to do the same. It doesn't matter what time you decide to power down - 4:00 p.m., 6:00 p.m. or 8:00 p.m. - as long as you pick a time and stick to it. List it. Clear out all the thoughts and concerns that are jamming up your mind as you are trying to unwind at the end of the day. Write out a list of all the phone calls, emails, appointments and various errands you need to do the next day. Write it all down, reassure yourself that tomorrow you will try to get as many of these things done as possible, leave it on the kitchen table, recognize that there's nothing you can do about any of these things until tomorrow. Then forget about them. Now relax. Unwind. Notice your thoughts. "Energy flows where attention goes", says Michael Beckwith. When you let your attention get tangled up with negative thoughts and ideas, your energy becomes negative. If you can divert your mind to positive thoughts, your energy becomes positive. Yes, that can be difficult sometimes. But it can also be surprisingly simple. Try it. Sing. Listen to music - your favorite music, or try something new - and do an activity that doesn't require any thinking; organize your junk drawer, clip your toenails and fingernails, wash dishes, match your socks - and sing along with the music. Go on, no one is listening. And even if they are, who cares? Podcasts. One of my favorite ways to de-stress is to open my laptop, get out my beading kit and make earrings and necklaces and listen to podcasts (all excellent recommendations by my daughter): This American Life, Quirks & Quarks, Writers and Company, Democracy Now. Write a letter. A real letter. A card. A postcard. The kind of message you write with a pen, on paper. The kind you have to remember someone's address for. The kind you have to buy a stamp for! Imagine how happy and surprised your friend will be to get good, old-fashioned snailmail. Open the window. Pull up a chair and maybe a cup of tea, breathe in the air and do some cloud-gazing and daydreaming. Feel your heart rate drop? Let the sun shine in. Sit in the sun. On your deck, in your back yard, at your window. There's a reason why cats find sunny spots to lie in. Nap. Speaking of cat naps, why don't you try one? Yoga at home. You knew I was going to say "yoga", didn't you? Because everyone knows it's good for you. You keep telling yourself you're going to look into it and you never seem to get around to signing up for a class, or maybe you used to go but now then you got too busy. Well what about buying a yoga DVD or getting one from the library and doing yoga at home? Youtube.com also has great yoga videos you can follow along with. That way no one will watch you as you grunt and groan as you try to touch your toes. Maybe once you get comfortable with it, you could try a class. Or not. Indoor running. Run in place for 5 minutes (You're going to need to watch the clock because guaranteed, you'll think you're done at 30 seconds). Then do 5 jumping jacks. Now, what were you stressed about? Walk or Bike. Do you need a reason? Okay, give yourself a mission. A small errand to run to get you to the other side of town. Buy a cup of tea or a fancy coffee. Mail that letter you just wrote to your friend. Check out the fleet of sailboats that just came in to the harbour. But remember: the walk or the bike ride is really the reason you are heading out - to get you breathing deeper, moving your arms and legs, clearing your mind. Do NOT bring a cell phone. Do NOT carry a purse or heavy bag. Let your arms swing in time with the movement of your legs walking. Let your body move naturally as you pedal your bike. Let your mind sail along. Hey you! Yeah, YOU - the one who has been sitting at the computer all day! Have you got 4 minutes to spare for your body? Check out this is fantastic 4 minute desk yoga routine. Time to wake up! "Hold still please, this technique is difficult enough with my long fingernails..."
More good news on a cold winter's day! I just bought an electric Thermophore heat pack that stretches the length of your back - it can also be applied to legs & feet. "Intense moist heat without adding water. Weighted, yet flexible to conform to body contours." Now you can be sandwiched between the full table heater and the medium sized heater while having your massage! I've been thinking about how nice it is to have a 90 minute massage rather than of a 60 minute one and I've decided to give each of you a birthday present: If you book a one hour massage on your birthday (on your actual birthday) I will treat you for an hour and a half for the same price. 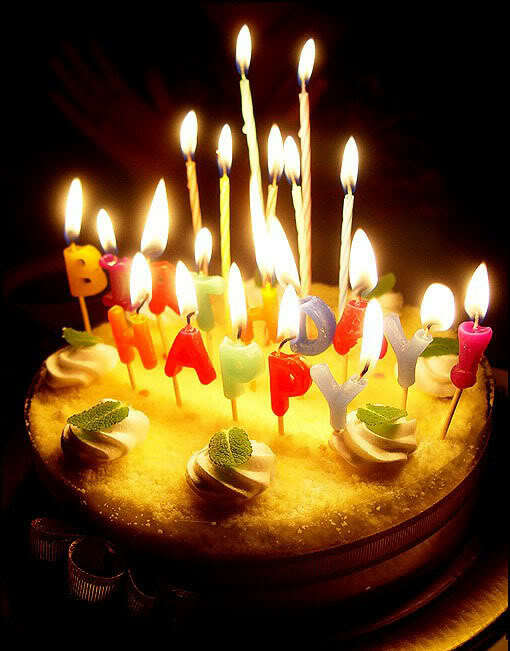 Because everyone should be pampered on their birthday, right? 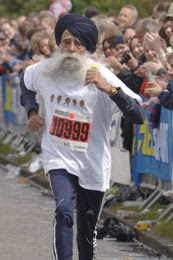 June 13, 2005 - Fauja Singh, a 94-year-young grandfather of 13, led a marathon relay team yesterday in the Edinburgh Marathon in Scotland, which was billed as the oldest ever marathon relay team. The five-man team named itself Sikhs in the City and had a combined age of 397 years. Singh, the world's oldest marathoner, drew most of the attention in the field of more than 11,000 runners and was the official starter. There were 5,000 runners in the relay event. The youngest member of the Sikhs was Amrik Singh, 70, from Glasgow. The other members were Karnail Singh, 76, from Glasgow, Ajit Singh, a 74-year-old retired Larkhall maths teacher, and Gurbaksh Singh, 73, from Gravesend, in Kent. But it was Fauja Singh who grabbed the limelight as he crossed the finish line, although the Sikhs finished 730th of the 912 teams. They completed the course in 4hr 16min 24sec. Singh is originally from the Punjab in India, but now lives in Ilford, Essex. Last year he was signed by Adidas for the 'Impossible is Nothing' advertising campaign and was featured in billboards across Europe. Five years ago he took part in the Flora London Marathon at the age of 89 for the first time and has since completed it five times. In 2003 he set the marathon world record for over 90-year-olds, completing the Toronto Waterfront Marathon in 5 hours, 40 minutes. As well as completing the London and New York Marathons in 2004 he also returned to Toronto Waterfront to break the half marathon record for over 90-year olds. "I am extremely honored to have been invited to start this year's Edinburgh Marathon", he said. "By running as the oldest ever marathon relay team I hope we will inspire young people to keep going and older people never to give up." Fauja, the world's oldest marathoner, took up running at the age of 81, when he arrived in Britain from the family farm in the Punjab. "Before that, I jogged regularly, to get from place to place," he said. He said he talks with God when he runs. A vegetarian, Singh, joined forces in 2004 with People for the Ethical Treatment of Animals (PETA) to caution Asians and others about the perils they face if they clog their arteries with meat. Geoff Sims, Chief Executive, Edinburgh Marathon said: "I hope Fauja and his team will inspire people of all ages and running abilities to get out and give it a go." The 'plantar fascia' is a band of tough connective tissue that runs along the bottom of your foot, connecting your heel to your toes. It stretches when you pull your toes up toward your shin. It works like a shock-absorbing bowstring, supporting the arch of your foot. When microtearing and inflammation occur in this fascia, it is called 'Plantar Fasciitis'. Plantar fasciitis is caused by extra stress on the feet. This may be due to a few things: extra activity, poor training methods or surfaces, unsupportive or incorrect footwear, extra weight or underlying muscular or bimoechanical imbalance. Recent literature suggests that it is less likely to be a pure inflammatory condition but rather attributed to the degeneration of plantar tissues. Runners who overpronate (feet rolling in or flattening) are particularly at risk as the biomechanics of the foot pronating causes additional stretching of the plantar fascia. 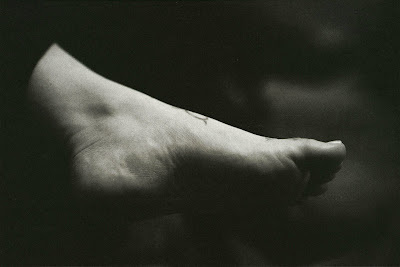 pain with weight bearing, on the bottom of the foot just in front of the heel. pain along the inside of the foot toward the toes. pain with the first 2-3 steps in the morning, or after sitting for long periods of time. pain lessens after 30-45 minutes of activity, then worsens 2-3 hours with continued activity. 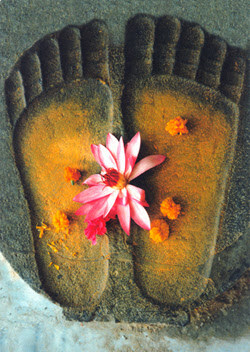 pain in one or both feet. mild to severe pain, sometimes 'stabbing', sometimes 'burning'. pain comes on slowly, no initial trauma or injury. Rest until it is not painful. It can be very difficult to rest your feet, but by walking or running you are continually aggravating the injury. Rest as much as possible and stop any unnecessary activities which place stress on the fascia. Put a plastic frozen water bottle on the floor and roll your foot (wear a sock) over it for 15 to 20 minutes four to five times a day. Massage and gently stretch the calf muscles. Wear supportive footwear around the house. I am a runner. I have run numerous half marathons and a couple of 10Ks. 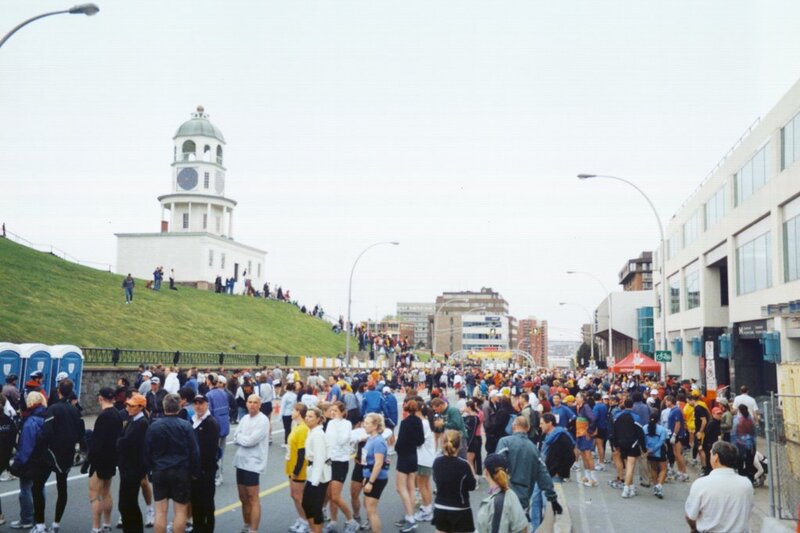 In 2008 I ran my first marathon, the Bluenose Marathon, here in Halifax. I've been in good shape and I've had injuries that sidelined me. I've felt in top form and I've fallen off the wagon (currently huffing and puffing my way back on). I am familiar with a host of running issues, physical and psychological. I have numerous clients who are also runners of varying distances and I find it exciting to be a part of my clients' training process, helping where I can with physical impediments - and I love hearing the stories of each person's training plans, obstacles and triumphs. This is a photograph of me and my mother Soledad after we ran the Bluenose 5K together. She is a beginning runner and it was her first road race ever. The following day I was telling someone proudly about how well she did in the race and it occurred to me to check her time on line. It turns out my mother came fourth in her age category! I am so proud of her, I brag to everyone about how well she did - and now I am bragging to all of you. 2. If you experience pain during your stretch, don't push yourself past that point. Do the stretch up to that point and then back it up into the pain free range. Hold your stretch there. 3. Keep breathing. Breathe deeply. It helps you and your muscles relax and increases the stretch. 4. Imagine the muscles and joints you're stretching. If you don't know specific anatomy, visualize the general area lengthening. Imagine the joints opening and softening. 5. If you've been given instructions about specific stretches, watch yourself in the mirror to make sure you are doing them correctly. If you are going to see the health care provider again who suggested the stretches to you, ask them to watch you stretch to make sure you are still doing them the right way. 6. Warming your muscles before stretching, either with a bath or in a shower, can increase the stretch. You can even do some neck stretches in the shower. Earliest recorded medical history dates from 25 centuries ago and includes references to medical treatment utilizing touch in Eastern cultures (Miller, 1997). Shamans, in many cultures, used touch as one of the healing practices used to heal mind, body and spirit. Healing practices began to evolve into the science of medicine in the middle ages. Touch healers who had long been honored by their communities gradually lost clout. They were negatively stigmatized by both, medical and religious proponents (Cohen, 1987). By the 17th century, the Christian church conceded control over the physical body and this important historical compromise established the Western split between body and mind/spirit. "In the (modern) technological view of the world, medicine is viewed as an industry and healing as a process to be adapted to the mechanical constructs of assembly-line production" (Hunter & Struve, 1998, p.48). Touch has become almost irrelevant. Recent research done by the Touch Research Institute has demonstrated that touch triggers a cascade of chemical responses, including a decrease in urinary stress hormones (cortisol, catecholamines, norepinephrine, epinephrine), and increased serotonin and dopamine levels. The shift in these bio-chemicals has been proven to decrease depression (Field, 1998). Hence, touch is good medicine. It also enhances the immune system by increasing natural killer cells and killer cell activity, balancing the ratio of cd4 cells and cd4/cd8 cells. The immune system's cytotoxic capacity increases with touch, thus helping the body maintain its defense against pathogens (Field, 1998). Massage therapy has been shown to reduce aversion to touch and to decrease anxiety, depression and cortisol levels in women who have been sexually or physically abused (Field, et. al., 1997). It decreases diastolic blood pressure, anxiety and cortisol (stress hormone) levels (Hernandez-Reif, et. al., 2000). One study examined the effects of massage therapy on anxiety and depression levels and on immune function. The subjects received a 45-minute massage five times weekly for a 1-month period. The findings were that: 1) anxiety, stress and cortisol levels were significantly reduced; 2) natural killer cells and natural killer cell activity increased, suggesting positive effects on the immune system (Ironson, et. al., 1996). Bulimic adolescent girls received massage therapy 2 times a week for 5 weeks. Effects included an improved body image, decreased depression and anxiety symptoms, decreased cortisol levels and increased dopamine and serotonin levels. In a study of children with ADHD, touch sensitivity, attention to sounds and off-task classroom behavior decreased and relatedness to teachers increased after massage therapy (Field, et. al., 1997). Following five 30-minute massages, children/adolescents had better sleep patterns, lower level of depression and anxiety and lower stress hormone levels (Field, et. al., 1992). Massage therapy also decreased the anxiety, depression and stress hormone levels of children diagnosed with PTSD, who survived Hurricane Andrew. In addition, their drawings reflected less depression (Field, et. al., 1996). I offer private massage therapy instruction for couples. I can teach you how to give each other a soothing, relaxing massage - or if one of you is suffering from chronic pain, I can show you massage therapy techniques to use on a regular basis that will help reduce pain. Massage therapy instruction appointments are conducted in my regular treatment room, and the session will last one hour or ninety minutes. The fee is the same as my usual massage therapy fee. I frequently see people who are on long waiting lists for surgery (knee replacement, hip replacement, cardiac or cancer surgery), diagnostic tests (bone density, MRI, CT scan) and appointments with specialists (genetic, prenatal, pediatric, cancer, metabolic). Sometimes the wait list for the service you need is shorter outside your community, in a different town or city - and you may be able to be seen sooner if you are willing to travel to a facility with a shorter wait time. This is a very interesting Government of Nova Scotia web site that lists the different wait times for surgery, diagnostic tests and referrals to specialists, according to community. In addition to individual massage appointments, I can provide on-site massage therapy services for group events or gatherings. Some examples include post-sports events, bridal showers, festivals or corporate events. Massage sessions can be done seated or on a portable table set up in an area away from the event. Massage can be done in ten, fifteen or twenty minute sessions. My professional association, The Massage Therapists' Association of Nova Scotia (MTANS) has adopted the Code of Ethics developed by the College of Massage Therapists of Ontario and all MTANS members agree to abide by this Code. One of my greatest inspirations is Terry Fox. Every time I'm out running and struggling (or just struggling), I think of Terry and I'm inspired to go further and dig deeper. He ran one marathon distance (26 miles) a day for 143 days to raise money for cancer research. It's a stunning feat for anyone, let alone someone with an amputated leg. "Terry Fox was born in Winnipeg, Manitoba, and raised in Port Coquitlam, British Columbia, a community near Vancouver on Canada's west coast. 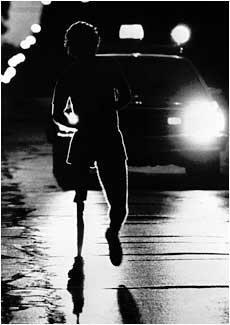 An active teenager involved in many sports, Terry was only 18 years old when he was diagnosed with osteogenic sarcoma (bone cancer) and forced to have his right leg amputated 15 centimetres (six inches) above the knee in 1977. After 18 months and running over 5,000 kilometres (3,107 miles) to prepare, Terry started his run in St. John’s, Newfoundland on April 12, 1980 with little fanfare. Although it was difficult to garner attention in the beginning, enthusiasm soon grew, and the money collected along his route began to mount. He ran 42 kilometres (26 miles) a day through Canada's Atlantic provinces, Quebec and Ontario. However, on September 1st, after 143 days and 5,373 kilometres (3,339 miles), Terry was forced to stop running outside of Thunder Bay, Ontario because cancer had appeared in his lungs. An entire nation was stunned and saddened. Terry passed away on June 28, 1981 at age 22. To date, more than $360 million has been raised worldwide for cancer research in Terry's name through the annual Terry Fox Run, held across Canada and around the world." I ask that you give 24 hours notice in order to cancel an appointment. If that notice is not given, payment is expected for that appointment. This policy is spelled out in the consent form you sign when you come in for your first visit. Sometimes people seem startled by the policy, so I thought I would take a moment to explain this issue. When you make an appointment, that time is set aside for you exclusively. When other people call for an appointment, they're turned away from your time, because you have it reserved. If you forget your appointment or decide to cancel at the last minute, that is a time I could have given to someone else. So I am directly affected financially, and very often there is someone who needed to be seen but couldn't get booked in. I was discussing this issue with a client last week. She was in full agreement with the policy, and she said she thinks of it like when she buys tickets to a concert or a play: if she misses the event for whatever reason, she doesn't expect her money back. She reserved the seat, so the ticket couldn't be sold to anyone else. So this is why I ask you to be responsible for the appointments you make. It's important to note that insurance companies cannot be billed for missed appointments. This means that if Blue Cross is billed directly for your appointments, if you miss an appointment you will be sent an invoice directly. Another note: if you don't give the requested 24 hours notice to cancel, but I am able to book someone else in to that space, you will not be billed. My approach to my massage therapy practice is simple to describe: I give each of my clients the same quality of care, the same attention, respect and compassion, that I give to my family and friends. Welcome! My name is Jessica Marsh. 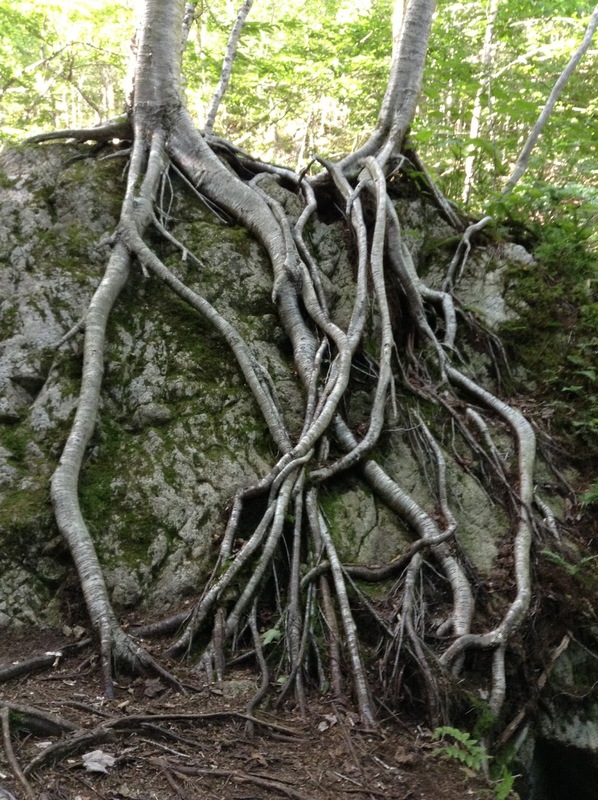 I'm a Registered Massage Therapist in Halifax, Nova Scotia and this is a blog about my massage therapy practice. My treatment space is located in the North End, close to downtown Halifax, in a beautiful building on Agricola Street. If you want to book a massage therapy appointment, it's important to know you'll feel comfortable during your treatment and part of this involves feeling comfortable with your massage therapist as a person, not just as a practitioner. So have a look around my site to get a feel for who I am and what I do.